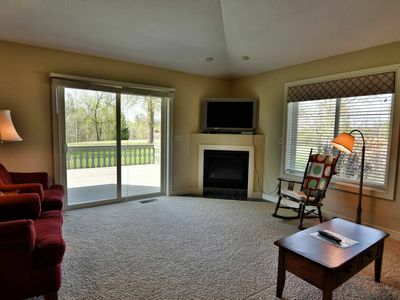 This beautiful home offers a low bank, making it perfect for families with young children or retirees. 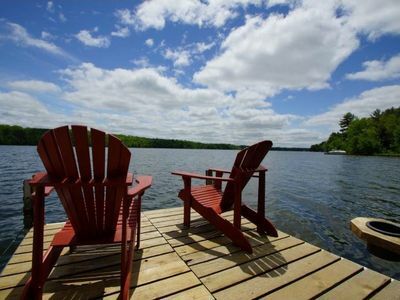 Swim or fish off the dock, make s'mores by the campfire, nap in the hammock, or relax in the screen porch. 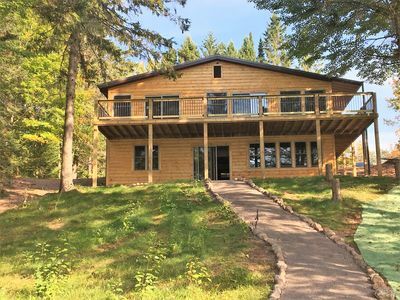 The cabin is located in the opening of a little bay, which is great for kayaking (we provide 2), canoeing, (we provide 1) bird watching and pan fishing. 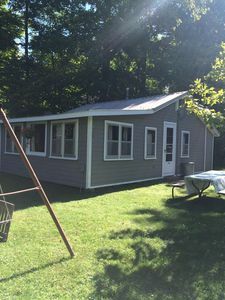 There is room for the whole family, with a large loft bedroom upstairs, 2 bedrooms and 1 bath on the main floor, plus another bedroom, bathroom & rec room in the basement. 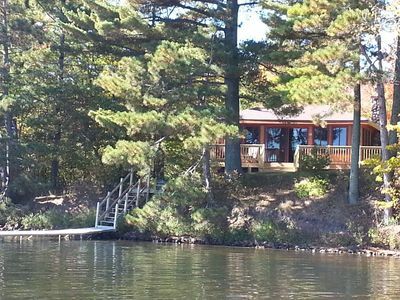 Birch Lake is connected to Big Chetac, which combined offers over 2,000 acres of great fishing, boating, restaurants & bars. 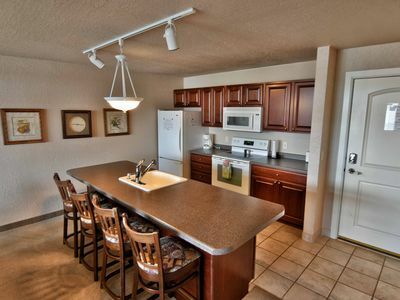 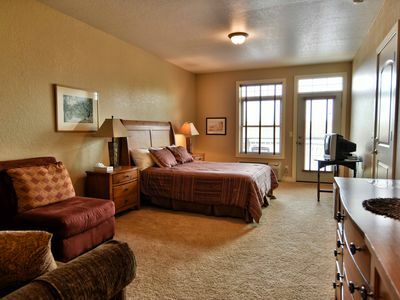 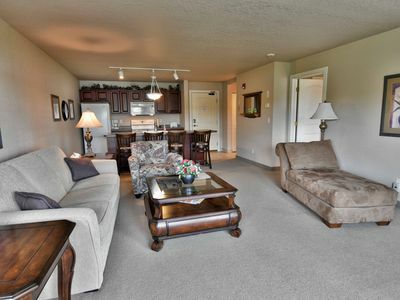 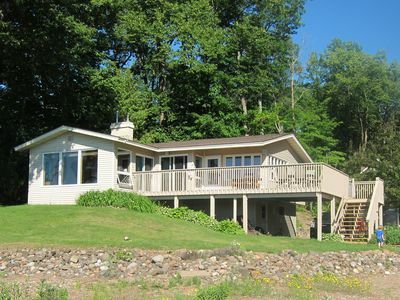 Only 5 miles from Tagalong Golf Course and restaurant, 2 miles to the town of Birchwood. 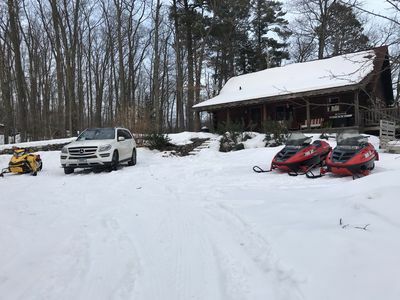 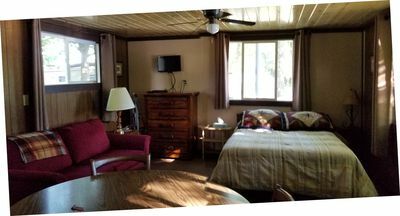 A True Northwood's Cabin Experience! 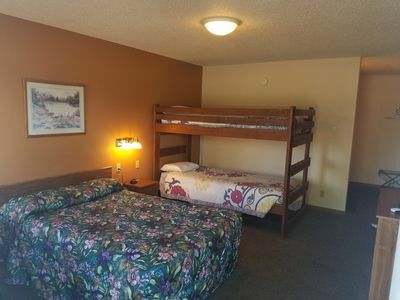 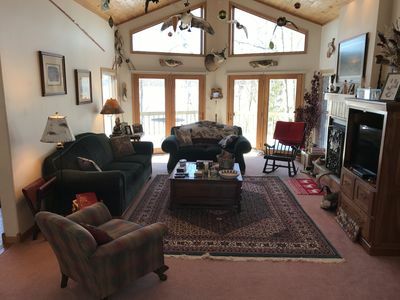 Large Group Vacation Haven Awaits! 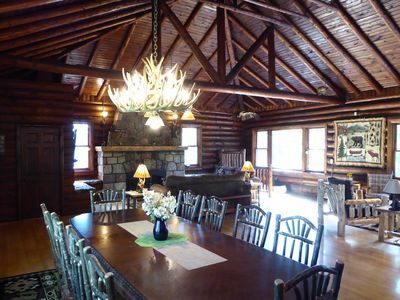 Must See - Beautiful Lakefront Log Cabin / Lodge on a Private Peninsula! 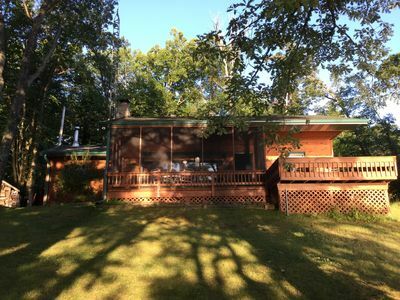 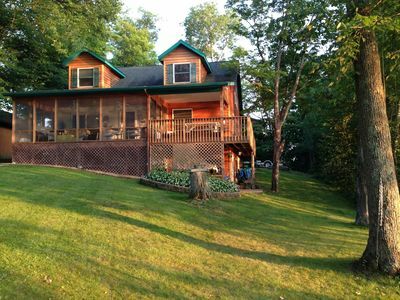 Two bedroom cabin on Big Chetac lake in Birchwood. 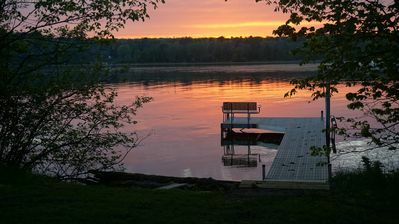 Great fishing and sunsets. 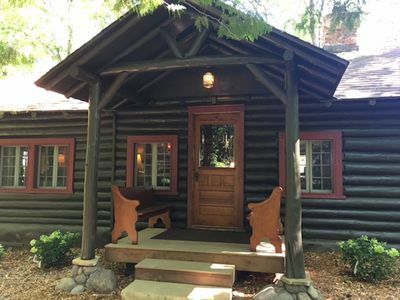 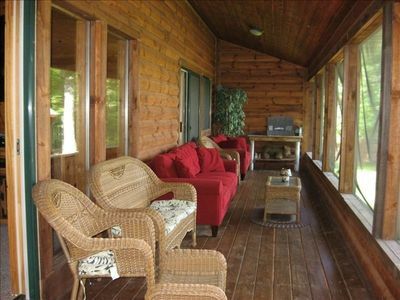 Charming/Elegant Log Cabin Compound w/ Luxurious Amenities (Deck Boat Incl.)! 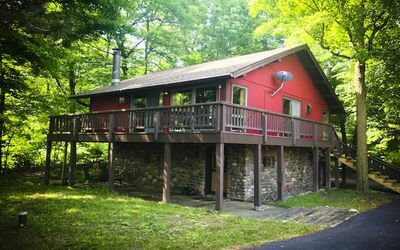 #4 Affordable Studio Cabin right on the water!